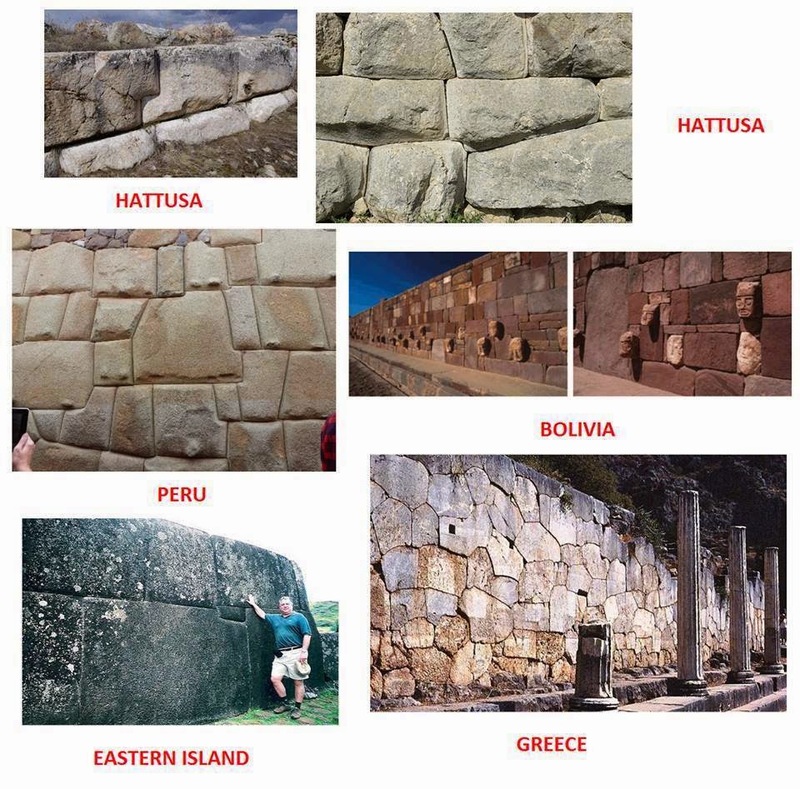 Inventica University: How do you think these ancient stones were cut and placed with such precision? How do you think these ancient stones were cut and placed with such precision? "What about a process that could cut stone, produce this signature, and used an energy source available to the Inca? Watkins found another clue in the bracelet worn by a modern-day priest in Cuzco. In the yearly Festival of the Sun, fire must be given by the hand of the sun. The ceremony requires lighting wisps of cotton on fire by using the sun’s rays, which are concentrated with a highly polished, concave indentation on a large gold bracelet. The bracelet is similar to those worn by ancient Inca. Then Watkins noticed large parabolic gold bowls in a museum in Peru. "These bowls weren't meant to sit on a table holding fruit; they'd roll around the table. They must have been used for something else. They are just the right shape and material for catching the sun's rays, and focusing them into a beam of light." Sun light strong enough to cut stone? Watkins suggests ancient Inca stonemasons heated and cut stone by using a series of very large gold parabolic reflectors to concentrate and focus solar energy. He points to the Conquistador’s records mentioning an Inca golden dish so large, it spanned the length of two men (it was cut up for poker chips before it was melted into ingots and carried back to Spain); to those big granite bedrock posts at Machu Picchu as possible supports for the mirrors; the fact that Peru, like Egypt gets strong sunlight all year long; and that gold is at its most reflective when its alloyed with silver. (Interesting that some pyramidions, or capstones, found in Egypt were made of electrum, an 80/20 ratio of gold to silver.) Watkin's research led him to develop a solar-powered device for cutting and polishing stone, for which he received a patent, application #4611857." Labels: How do you think these ancient stones were cut and placed with such precision?